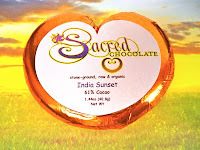 Today's 61% cacao, heart-shaped "India Sunset" bar, wrapped in shimmering orange, was made by Sacred Chocolate (San Rafael, CA). 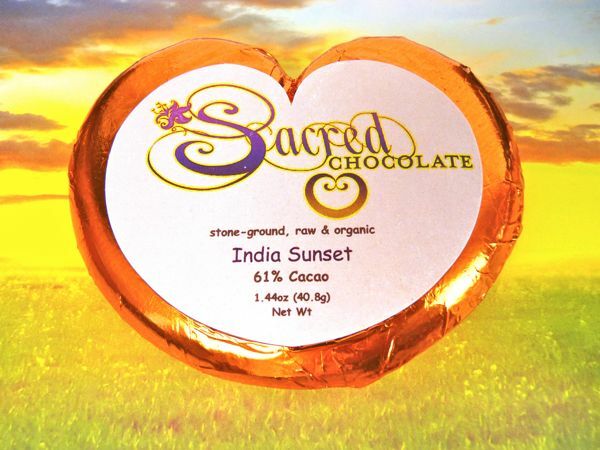 This smooth, stone-ground, raw and organic chocolate had hints of coconut, maple and saffron. 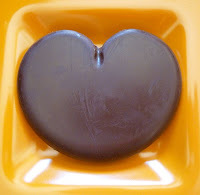 I found this bar at Rosie's Roses, in San Francisco, CA.